Heat oven to 400°F. Lightly spray large cookie sheet with cooking spray. 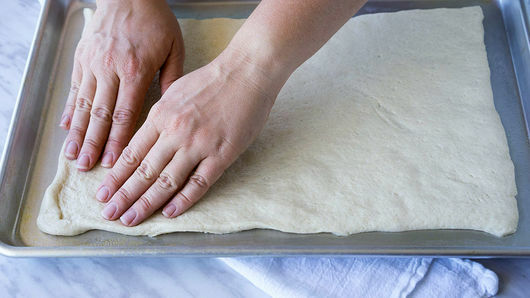 Unroll 1 can Pillsbury™ refrigerated classic pizza crust on cookie sheet; press dough into 14x9-inch rectangle. Bake 8 minutes; set aside. In medium bowl, beat 3 oz softened cream cheese until smooth and creamy. 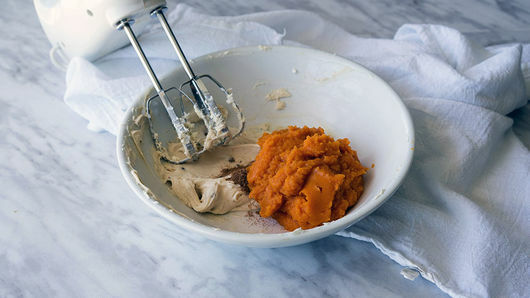 Add 3/4 cup canned pumpkin (not pumpkin pie mix), 2 tablespoons packed brown sugar and 1/2 teaspoon pumpkin pie spice; continue mixing until combined. Spread 1 cup canned apple pie filling along one short edge of crust in straight line. 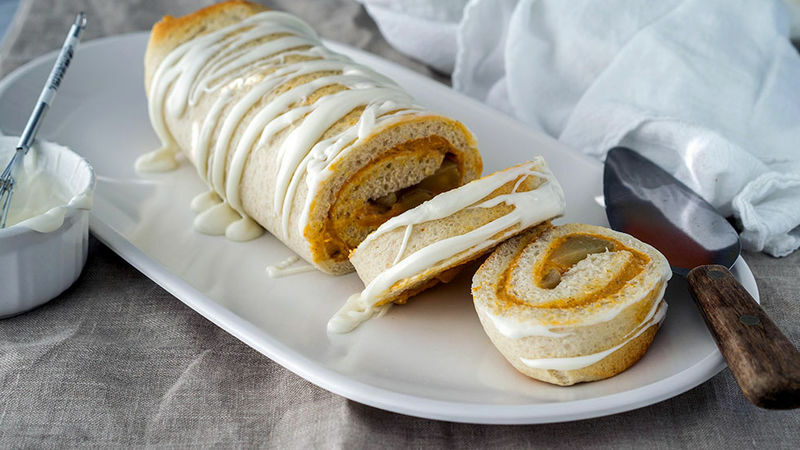 Spread pumpkin-cream cheese mixture evenly over remaining part of crust. 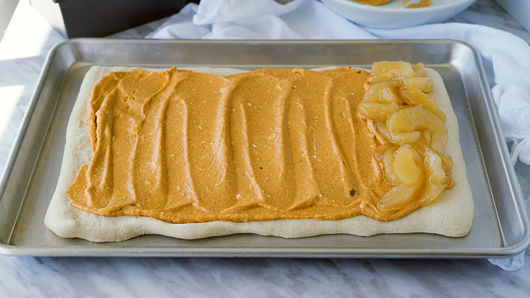 Working from the edge with the apple pie filling, carefully roll up crust, being cautious not to squeeze too much, so filling does not come out the sides. Place roll-up in ungreased 9x5-inch loaf pan, seam side down. Bake 8 to 10 minutes or until outside is light golden brown. Cool in pan 1 hour. In small bowl, mix 3/4 cup powdered sugar and 1 to 2 tablespoons water until smooth, adding more water for thinner consistency if desired. Drizzle over roll-up. Slice and serve! For an even creamier drizzle, substitute milk or cream for the water. Line cake pan with cooking parchment paper to easily remove roll-up from pan!